One of the things that really annoys me about the blogging world is when I see a link to a blog post on social media and then click on it, only to discover the blog post is actually months or even years old. Actually, it's not just blogs sometimes organisations do it too. Maybe it's because I come from a journalistic, news background, but usually, if I see a new social media post, I expect it to link to new blog content. So when it doesn't I am disappointed. My expectations have not been met. I struggle to understand why someone would send me to an old part of their blog and I start to wonder if this is the best they've produced or if, in fact, they've actually updated their site at all since this post? If or when I explore the site further I'm already in a bad mood, feeling duped. I do understand that social media feeds move quickly so there is a school of thought that suggests you post often to maintain attention and engagement. But what's the point in posting stuff that isn't relevant? 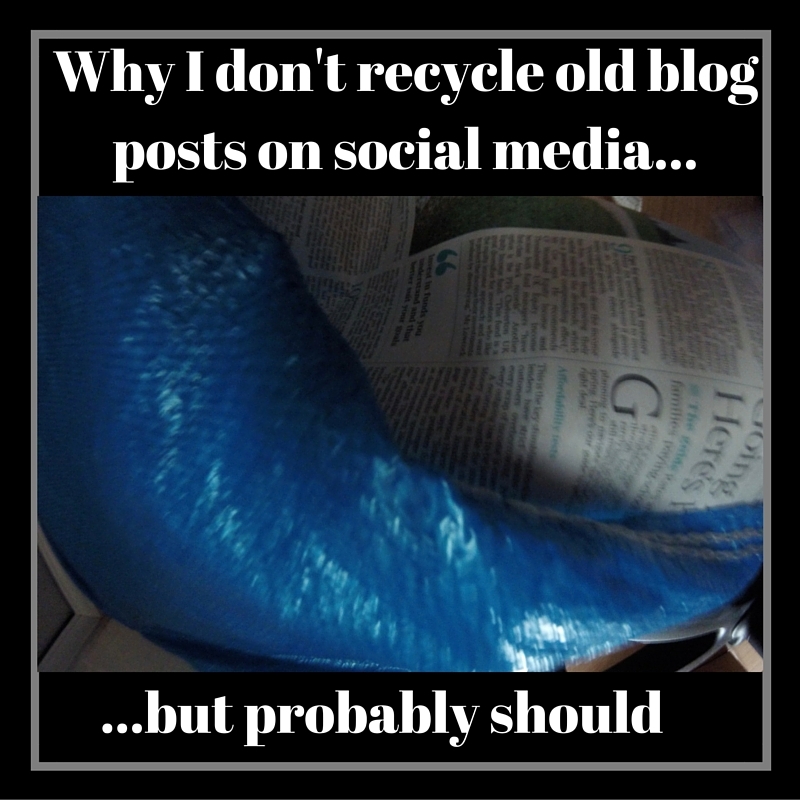 I've struggled a lot with this question and whether to repost links to old content as an easy way to maintain momentum on my social media networks. Am I missing a trick here? The nub of the issue, for me, is expectations. So I've come to a compromise. I have softened in my stance and devised three rules. These are based on the premise that as long as the old content has some relevance, or what we call in the news trade - a hook, then it is OK to post a link. BUT...it has to be clear that this is old content. Mention in the social media post that this is old content. Luckily, there are a couple of hashtags you can tap into: #throwbackthursday or #onefromthearchives are two easy terms you can add to your post to make it clear to the reader that you are linking to older content. Obviously don't use #throwbackthursday on a Monday or anything or you really will look like you don't know what you're talking about! Review your old posts and update them. You could then post the link and point readers to the fact that you've updated your old posts. Finally, tap into trending topics, newsworthy issues or awareness days and make it clear that this is old content. For example, 'The sun is finally out. If you're struggling to get sunscreen on the kids, here are some tips I posted last year." 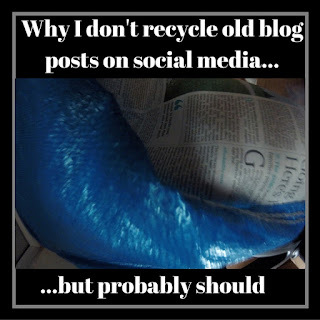 I can see that posting older blog content, particularly evergreen topics, can be a useful way to drive traffic and boost social media activity, so I probably will jump on the posting old content bandwagon. But hopefully, I won't annoy my readers with unnecessary and irrelevant links. Do you post old content? Do you have any rules? Am I bonkers to worry about this? I don't, but then readership on my blog is pretty low anyway. I noted your comment about 1000 views and was a little jealous. My biggest post (about which I got quite excited) only got 883 page views. I've been posting for several years now, and have still only clocked 60,000 odd views! I think the more time you put into it, and cross-linking, and linking to other people, and joining in with linkies and so on, the more traffic you get. But that all takes... time.